With easy clean and access, the Somerzby Cottage is one of the favourites with Children and adults alike, it is the perfect fit for a smaller backyard. 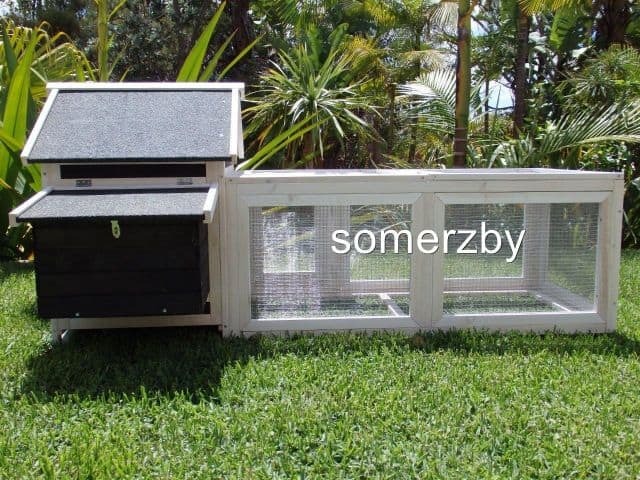 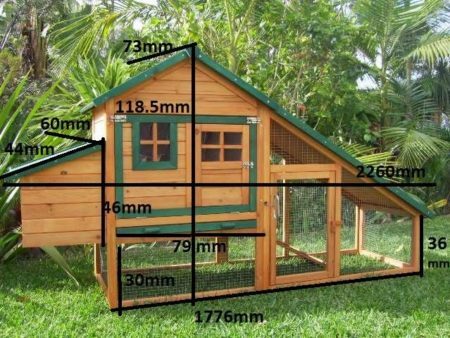 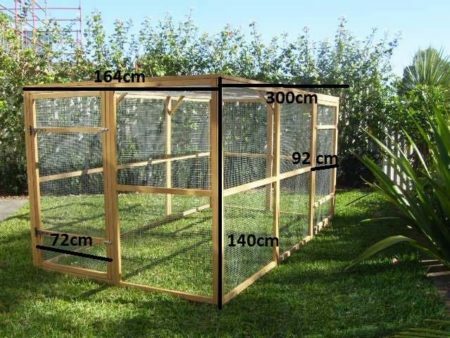 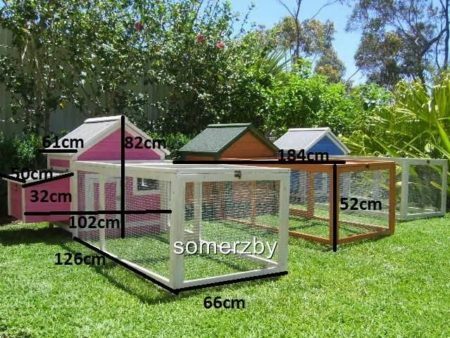 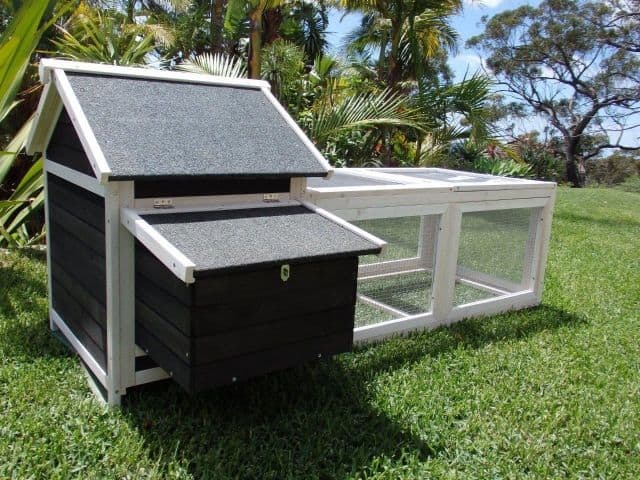 Great for guinea pigs and to keep out that wily fox with a wire mesh floor and fly/mozzie screens. 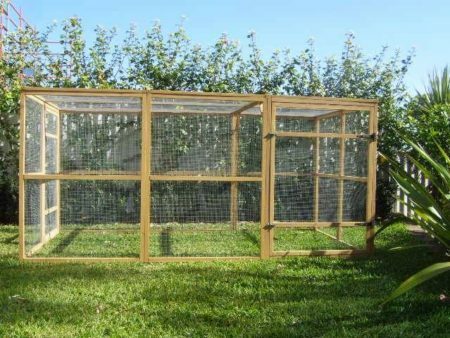 It is easy to clean with a Metal pull out tray and one complete side of the cage forms a door. 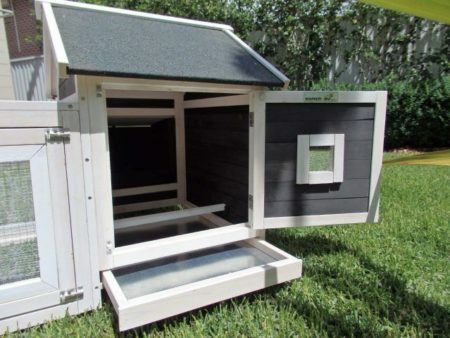 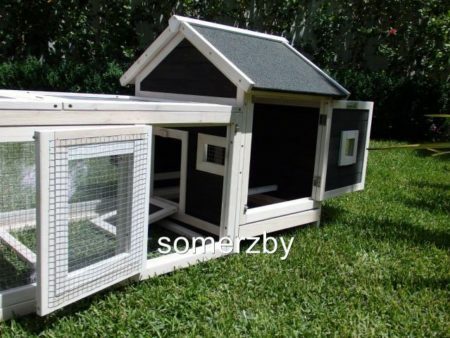 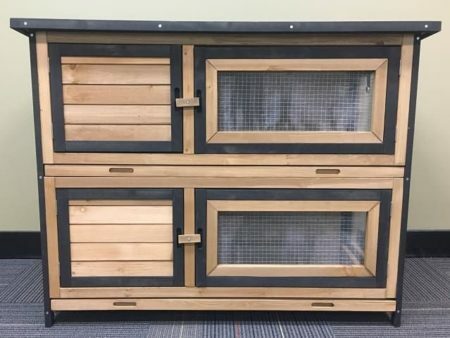 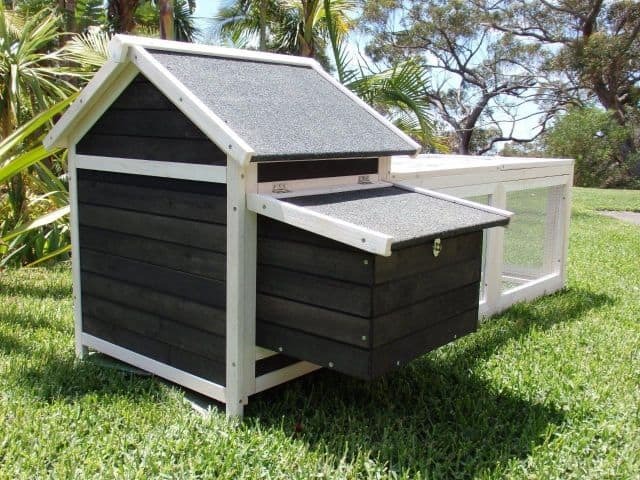 All new style, adorable Guinea Pig House in Charcoal Colour! 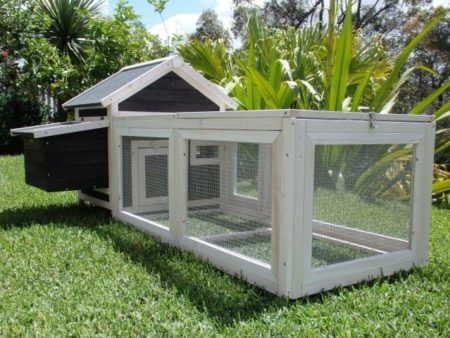 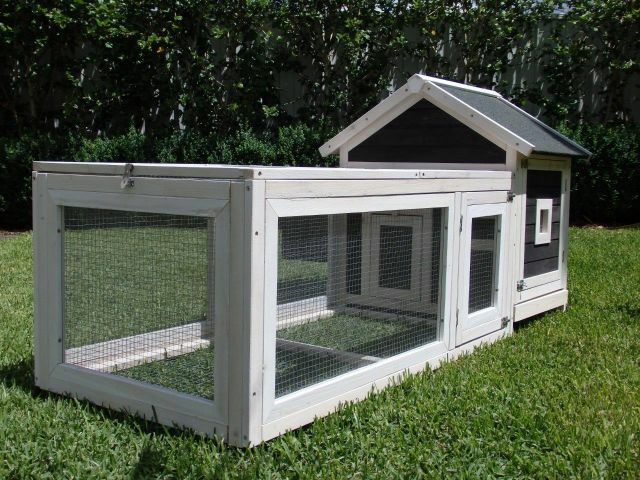 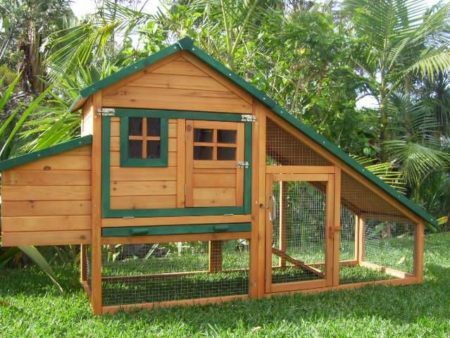 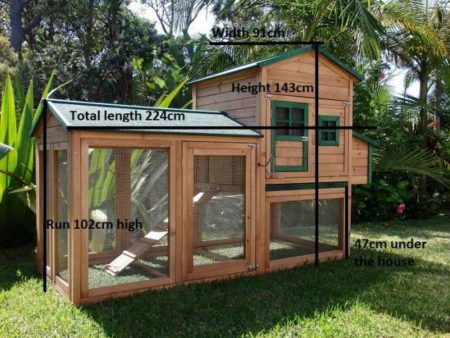 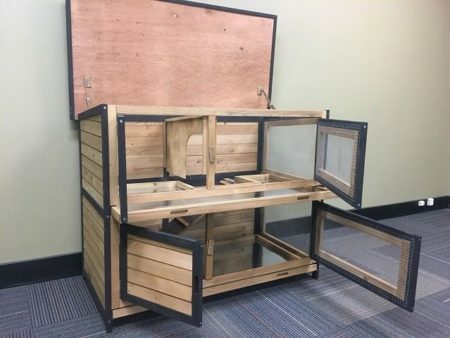 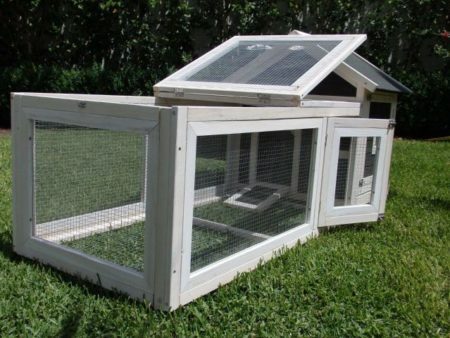 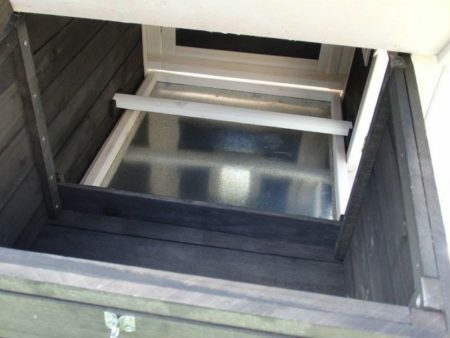 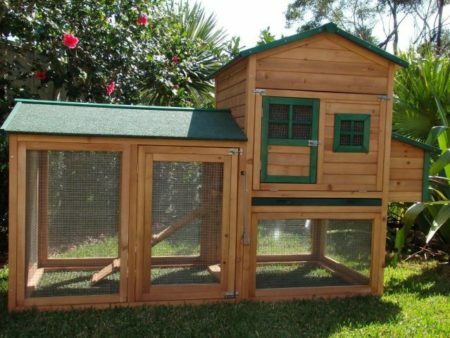 The attached run also features 2 Large opening doors for easy access to your Guinea pigs and ease of cleaning. 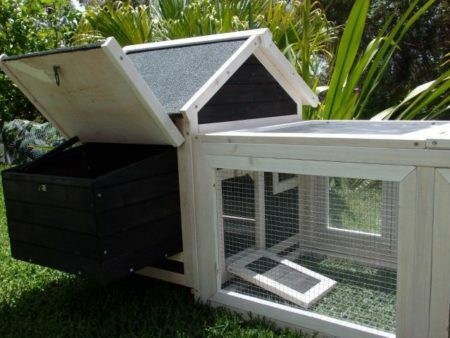 Please note: This product comes 1 Perch, which does not need to be installed in your guinea pig home. 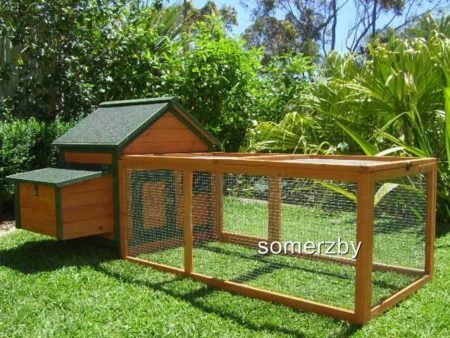 This, instead makes a great chew toy for your guinea pigs.